Craig Noel, founder of The Old Globe, was a visionary. One of his dreams was to establish a women’s auxiliary that would support The Old Globe Theatre, so he turned to his friend, Irma Macpherson and she made it happen. Irma had founded the Junior Theatre Wing of the Globe (later known as San Diego Junior Theatre), and she knew The Old Globe Theatre well, having performed on its stage. She was also a prominent woman in San Diego’s cultural community, featured frequently on the social pages of local newspapers. The Globe Guilders organization was founded in 1955, and the group began to grow very quickly. It hosted 12 opening night dinners a year, six of them black-tie affairs. Invitations were all hand-addressed. From the beginning, Guilders took an active role in theatre education, promoting Shakespeare scholarships for young actors in the summer. The energetic women staffed the box office, sewed costumes, found student housing and raised funds with their own talent show, Cabaret. Since 1991, Globe Guilders have presented an elegant couture fashion show each year. Originally titled Oscar in Autumn in honor of designer Oscar de la Renta, the name of the annual fashion show has evolved over the years into Celebrating Couture as other designers replaced de la Renta following the designer’s long run with the Guilders. Recent shows, in collaboration with Neiman Marcus, have showcased the beautiful designs of Naeem Khan and Monique Lhuillier. This “must see” event raises significant funds for The Old Globe. Globe Guilders are seemingly everywhere. You can find them volunteering in the costume shop, the education department, hosting Meet & Greet receptions to welcome cast and crew for each production, and at special events such as Balboa Park’s December Nights. 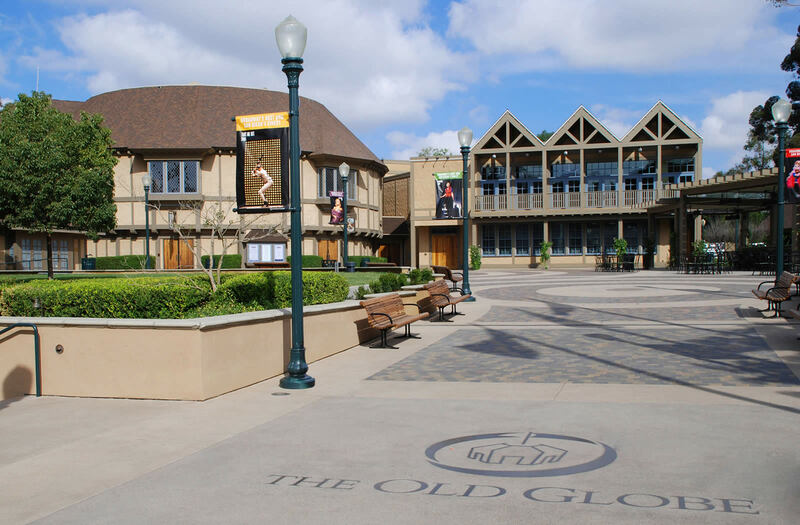 In addition, members provide financial support and often mentor the graduate students in the The Old Globe and University of San Diego Shiley Graduate Theatre program. Globe Guilders possess passion for theatre, dedication to volunteerism, a sense of style, and love of camaraderie. Now over 60 years old, the organization is strong and resilient.